Samsung Electronics announced today that global channel sales of its GALAXY S4, a life companion for a richer, fuller, simpler life, has surpassed 10 million units sold in less than one month after its commercial debut. Launched globally on April 27 in 60 countries including the Philippines, the phone is estimated to be selling at a rate of four units per second. The GALAXY S4 sets a new record for Samsung, generating sales quicker than any of its predecessors. Sales of the GALAXY S III reached the 10-million mark 50 days after its launch in 2012, while the GALAXY S II took five months and the GALAXY S seven months to reach the same milestone. "On behalf of Samsung, I would like to thank the millions of customers around the world who have chosen the Samsung Galaxy S 4. At Samsung, we'll continue to pursue innovation inspired by and for the people", CEO and President of IT and Mobile and Communications JK Shin said. The GALAXY S4 was developed to enhance the meaningful moments in our lives through its innovative features and superior hardware. It has the world’s first Full HD Super AMOLED display that showcases images at their very best on a 5-inch screen with 441ppi. Equipped with a powerful rear 13MP camera, the GALAXY S4 also boasts a Dual Camera function that allows simultaneous use of both front and rear cameras. The GALAXY S4’s new and innovative software features include Air View and Air Gesture for effortless tasks, while it also keeps users up-to-date with information about their health and well being using S Health. 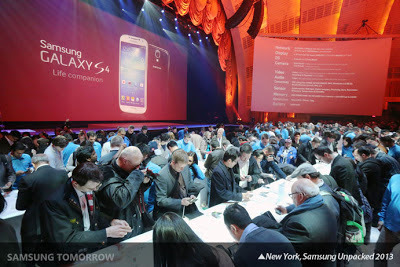 Samsung GALAXY S4 is available in more than 110 countries and will gradually be rolled out to a total of 155 countries in cooperation with 327 partners. 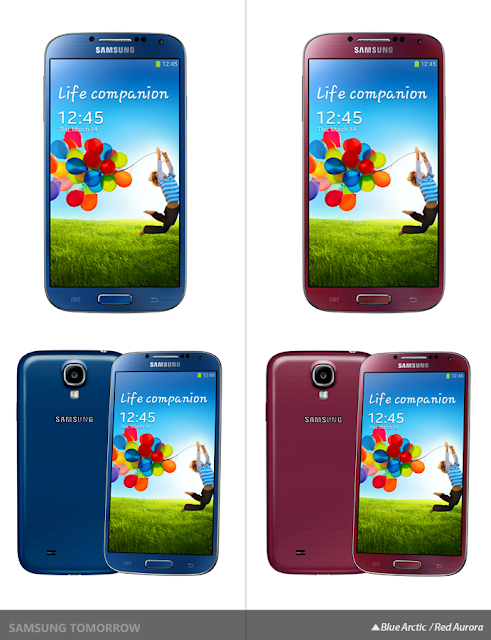 Samsung is planning to introduce more color variations to meet various consumer tastes and preferences. In addition to the currently available White Mist and Black Forest, new color iterations will be added this summer, including Blue Arctic and Red Aurora, followed by Purple Mirage and Brown Autumn.